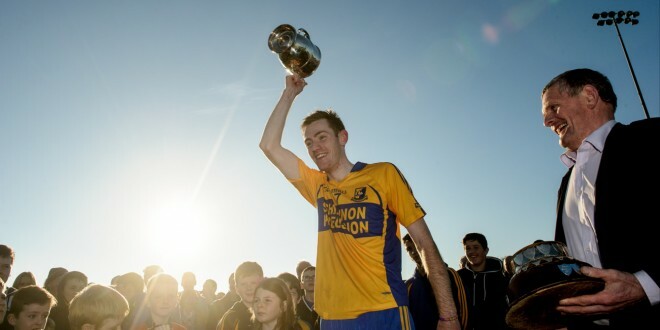 A memorable year for Sixmilebridge senior hurlers concluded at Shannon on a sunny November afternoon with victory over Crusheen in the Clare Champion cup, senior hurling league, final. The merited win saw the Bridge complete the senior double as they had earlier won the championship title (Canon Hamilton trophy) while the win also saw the side go through the domestic season without suffering a defeat. They concluded their memorable season in front of new Clare senior hurling coach Donal Og Cusack who attended the game in the company of team manager Davy Fitzgerald from Sixmilebridge. This was the third meeting of these sides in competitive action this season and the Bridge emerged victorious on all occasions. 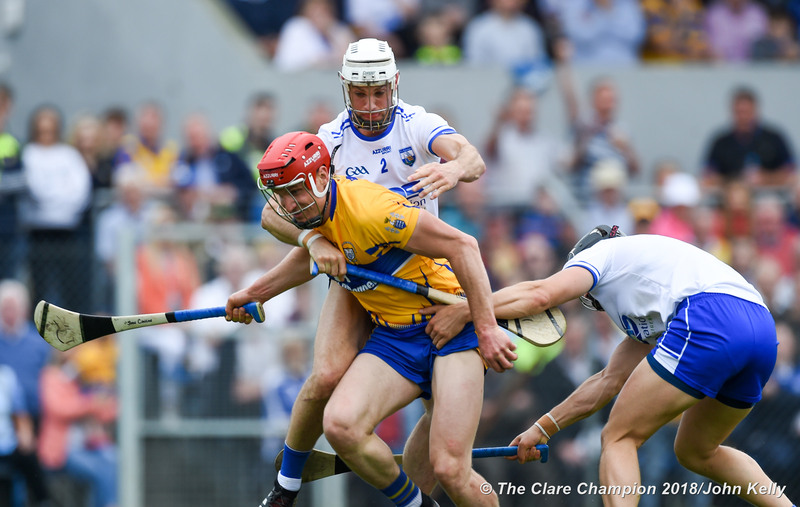 By the end of the first quarter Sixmilebridge had drawn level, thanks to a converted ’65 from Niall Gilligan and three minutes later they had opened a three point gap. Crusheen fought back to level with six minutes remaining in the half and they were level again three minutes later but the winners finished strongly and when the half time whistle sounded they were three points clear, 0-12 to 1-6.. 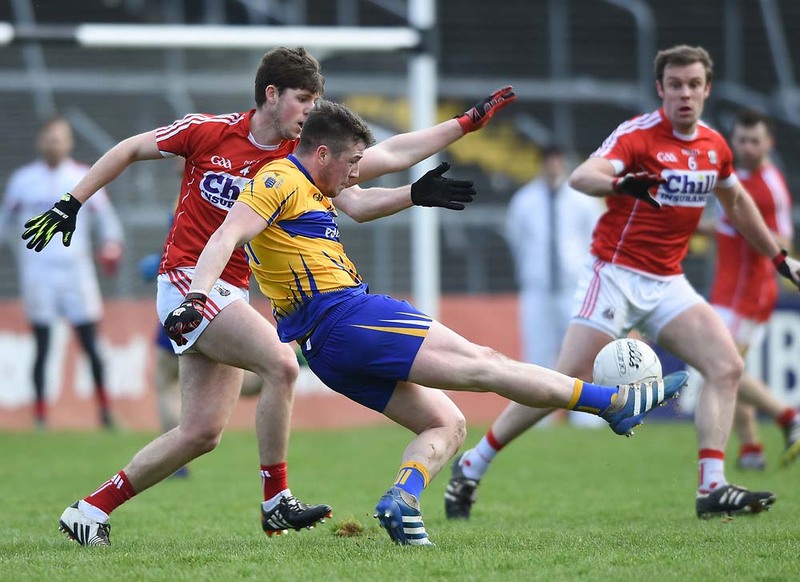 The Clare champions extended their lead to four early in the second half but Crusheen weren’t going to go down easily and they fought back to be within a point of the winners with twelve minutes played. This was still the margin as the game entered the final ten minutes but a brace of Gilligan frees gave the winners a three point gap with time ticking away. Crusheen battled to the end but all they could manage in the remaining time was a point from substitute Cillian Mullins. The winners had to make three changes from their championship winning teamwith team captain Caimin Morey along with Cathal Malone and Brian Corry all ruled out due to injury. Niall Gilligan again top scored with 0-9 to his credit while Barry Fitzpatrick, Seadna Morey, Paidi Fitzpatrick, and Conor Deasy also got through a lot of good work. Gerard O’Grady, Cian Dillon, Pat Vaughan and Conor O’Donnell did well for Crusheen. After the game Clare GAA vice chairman Joe Cooney presented the cup to Paidi Fitzpatrick who took over as captain in the absence of the injured Caimin Morey while the Clare Champion’s sports editor, Seamus Hayes, presented a cheque for 3,500.00 to Sixmilebridge chairman Paddy Meehan and a cheque for 1,500.00 to Crusheen captain Ciaran O’Doherty.